A historian of development, Bekeh Utietiang Ukelina is an Assistant Professor of History at the State University of New York, Cortland. His research examines the ideologies and practices of development in Africa, south of the Sahara. He focuses primarily on understanding how the interlocking layers of exploitation within colonialism, neocolonial/neoliberal economics and the historical and contemporary geopolitical world order have rendered Africa impoverished and underdeveloped. Dr. Ukelina writes and speaks passionately about Africa’s development crises because his research addresses real and practical problems that over a billion people face. 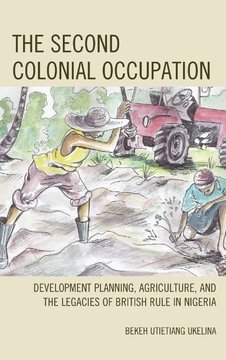 His most recent book, The Second Colonial Occupation: Development Planning, Agriculture, and the Legacies of British Rule in Nigeria was published in August of 2017 and it won the 2018 NYASA Book Award.